The 36 hours before my departure today were spent rehearsing and performing in the choral society’s summer concert so it was a relief to get into the car this morning and head north. We do not usually travel on a Sunday morning so it was quieter despite the English schools’ holiday having started this weekend. However, there were quite a few caravans on the motorway and in south Lancashire we saw a cycle race pass over the motorway flyovers several times. At the obligatory coffee stop and driving changeover at Tebay services, we watched a couple with two great Danes cause great consternation on the pond. A duck was getting very agitated about the potential threat to her ducklings, which fortunately never materialised. 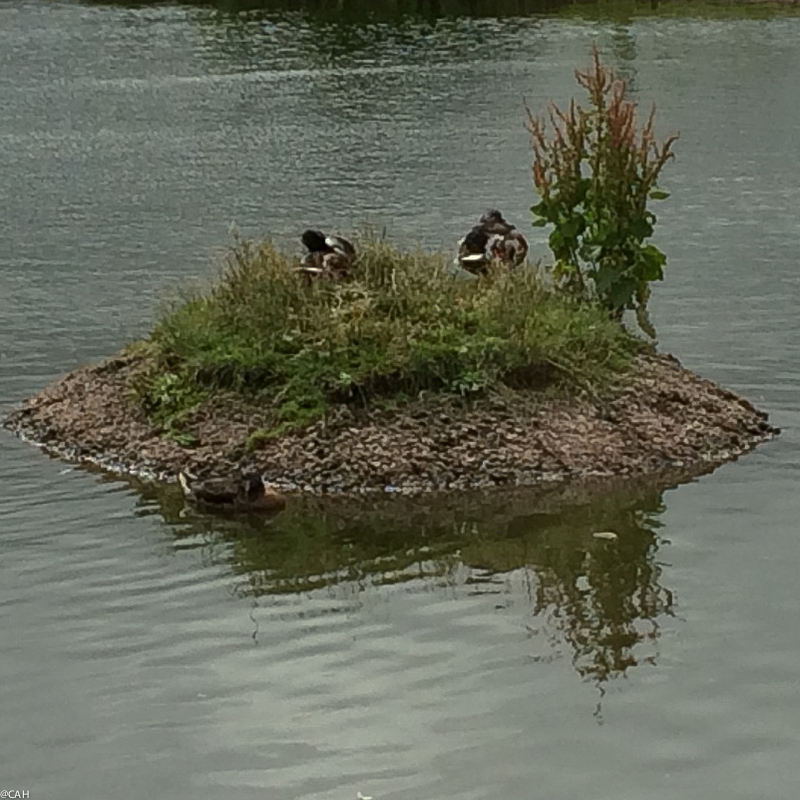 The other ducks slept on, on their islands, totally unaware of the risk. We carried on north through drizzle over Beattock but this disappeared and we arrived in Edinburgh under clear skies. We settled into the flat and then had an evening meal with some friends on the other side of the city. The rain had caught up with us by then but had stopped before we left to walk back to the flat. As we walked back across Bruntsfield Links we saw lots of seagulls on the grass and I was reminded of recent reports of them killing small dogs in Cornwall and people asking for the law preventing them or their nests being harmed to be rescinded. It will be interesting to see what becomes of this.